It’s Sunday and it’s the day that I set aside to scour the ads and collect coupons from the Sunday paper. I also go blog hopping and find the best deals at the pharmacy stores like Rite Aid, Walgreens, and CVS. When I looked in the paper, I saw that there are three things you can get free at Rite Aid this week. Theraflu, 4.99, Get $3 SCR #38 use coupon in Sunday paper (Limit 1) Then it’s free. 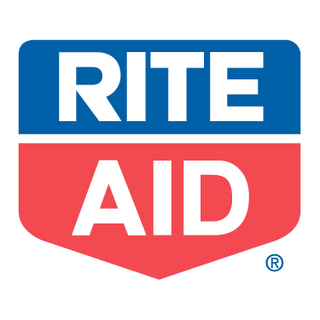 Jan 9, 2010 … Here are the best deals at Rite Aid for the week of 1/10–1/16. Mummy Deals: SNEAK PEAK: Walgreens Deals 1/10 – 1/16/10 – 9 FREEBIES! I’m sure that’s way more examples than anyone needed but it’s a good way for me to keep up with all the stores I like to shop at. I like to save as much money as possible while doing my shopping. By doing these searches I also find a lot of new blogging friends who share the desire to save money any way they can. Add the Mom Start Saving Button to your blog, facebook page, or myspace page, using the code above. The contest will run until February 1st 11:59 pm Pacific. The winner will be selected by www.random.org. All rules can be found under giveaway rules. Give Your Dog a Holiday Feast! My tip would be to get a good coupon organizor,keep track of coupons that are soon to expire.Try to use them when the product is on sale to get a full benifit from it. Keep your organizor clean and non cluttered.And purchase 2 sunday newspapers per week. My best money saving tip is to always clip coupons even if there is not an immediate need for them. You would be surprised how many useful coupons are in the newspaper! My best money saving tip is to do without–truly. If you have to convince yourself that it is the depression, then do it, whatever it takes. Many people get into the mindset of thinking that they deserve to buy themselves things, when they already have debt of some kind. You don’t. Pay off your debt, and then you’ll REALLY deserve to give yourself a treat, but not now. what’s your best money saving tip? Mine is to use coupons, and also cut way back on eating meat. I clip coupons and wait for the items to go on sale then stock up. Also buying in bulk helps. and the name of the place I’m buying something from. Thanks so much for this giveaway. Try only carrying cash for a week or two. Somehow actually handing over bills makes purchases seem more real– more than just swiping a credit card. I found that I spent much less this way. I buy things on sale and use coupons. My tip is to always use coupons and buy things when they are on sale. My best money-saving tip is to buy groceries at Walmart. You’d be very surprised how much you can save on things like cereal, canned goods, and bread as compared to shopping at a higher-priced grocery store chain. I added your text link to my blogroll. My only tip is to use coupons and match with sales. Also price match if your store allows it. My best money-saving tip is, emphatically, don’t go into debt for anything, ever. (Houses excluded for some.) You will always pay more than it is worth. Never go to the store hungry, with kids or with husbands and always make a list. My best tip is check out coupon sites on-line and always be thinking about using a coupon – I keep them in my car – esp for eating out – I usually always have one that will work ! My best money saving tip is to skip some of the great deals you find. Just because you can save money on something doesn’t mean you have to buy it. You’ll save even MORE money if you just do without it. To save money, I buy in bulk. Get a Sam’s Club or Costco membership… it truly will save you tons! My best advice is to try to only make purchases for things you actually use or need. But every time you make a purchase, think about ways to maximize that purchase… Coupons? Buy online? Buy in Bulk? ebay? Or even a combination of all! Shop sales and stock up then. Buy more than one Sunday paper so that you get more than just one set of coupon inserts. Then use your coupons when the product goes on sale and stockpile when it’s cheap. Shopping around for a good deal! My tip is to use as many coupons as possible, and shop for sales and clearance! My husband is a senior, so we save a lot of money by shopping for groceries on Seniors’ day: Being married to a silver fox does have some advantages. My tip is this~ if you dont absolutely need it right now, dont buy it! Be it food, clothes, toiletries,etc. If you can make it last a litle bit longer you save money! I love to get Buy one get one free deals in my grocery store and plus use coupons and sometimes I even make money on some things. Get your friends to start saving coupons for you. I use coupons for everything! It embarrasses my daughter, but some day she will thank me! sometimes you can wait on sales. My best money saving tip is to make sure you have coupons preloaded to your grocery store club card from the websites that offer that option. My best money saving tip is make a budget. Then track everything that month and determined if it is a real budget, meaning that you can get what you need in the $$$ allotted. MY DH and I did this and we had the amount of money we projected in savings by the end of the year. It was amazing! A non-grocery tip: Unplug your electric gizmos when they are not in use. You can’t do this with your fridge (! ), but you can with most other things: coffee maker, toaster, lamps, fans, computer, etc., etc. I was surprised at the difference doing this made in my power bill and I definitely believe it’s worth the split second it takes to unplug. I follow u on Twitter as TantaDesChiens. WandaLaPanda DUGG this giveaway on DIGG. This giveaway has been StumbledUpon by WandaLaPanda. My best money saving tip is to buy only what one needs. Buy it on sale and use coupons! I love to comparison shop for prices online to find the best deals. My best money saving tip would be to shop at a Dollar Tree store for school supplies. Take out only a certain amount PER WEEK. This prevents overspending and financial stress at the end of each month! e-mailed about you to friend-Elisha! I take a shopping list with me and I only buy what is on the list. My money saving tip is to cut down on eating out or getting fast food. My money-saving tip is to cook and bake at home. I started because my husband was dying and we were living on one income, but almost immediately noticed that both of us felt better when we ate homemade, chemical-free food. Now that he’s gone, I still do all my own cooking and baking, and not only does it save me money, but I feel much better, so it saves my health as well. My best tip is to buy in bulk. If you buy larger packages and stock up on non perishable items when they are on sale you can save lots! Shop sale ads and use coupons. Lower thermostats. Use cold water for laundry. Buy more store brand products. I always check the clearance sections at my local stores. I often find items I need there at considerable savings. check thru the bargain bins, always good deals there. I dugg on digg as Elkaye. My tip is to buy meat only when it is on sale, and buy enough to last for 3-4 months in your freezer, which is usually when it will go on sale again. I sign up for emails from my favorite stores so I know exactly where to go to get the cheapest price for items on my shopping list. don’t waste anything. i used to buy to many sale items and then enver used them. My best money saving tip is to search online for discount codes whenever you’re about to make a purchase online. GLTA and thanks for this giveaway. My best tip is to go on the Penny Item day at your local Publix and use your coupons on those publix BOGO deals. I have often got things for under 50 cents! I use coupons when products are at a rock bottom sale to get the product free or nearly free. Stock up on the items that use frequently, whenever you see them on sale. Don’t wait until you’ve run out of an item to buy it. My best money saving tip to use coupons, shop at several grocery stores instead of one, and cut out waste. We stock shop, so we don’t have to buy the same staples over and over again each week. We wait until products prices are cut extremely low and combine that with doubled coupons, sometimes triple. i always use coupsons and at stores that doucle or triple them… and if i can get a better deal on non name products i get those. My best money saving tip is to use coupons, and to take advantage of buy 1 get 1 deals. To buy in bulk when there is a sale, you can stock up on items for future use! Try to match coupons with the loss leaders in the grocery ads and stock up with those items whenever possible. My best money saving tip is to buy consignment or goodwill for kids’ clothing unless it’s deeply discounted or with a coupon at regular stores. Kids grow out of clothing so quickly. My best money saving tip is to cut coupons and immediately organize them. I then have to carry them with me all every time I head out to a store, just in case. I always find great deals, like clearance items and I will have a great coupon for them too! Another thing is to keep track of prices of things you always buy, that way, you will never overspend on your normal items! print coupons off of the internet. My money saving tip is to look for kids clothing at Goodwill. I find name brand clothes for .99 each all the time at goodwill. Abercrombie, Ralph Lauren, Gap, Old Navy, Etc. I even find brand new clothes with tags on them for this price! I keep a box of the next size up for my son, so when he wakes up one day and nothing fits… I run out and get the box of bigger clothes! My fave is using Shortcuts.com. That way I choose the coupons I want and then add them to my virtual store card and the coupons are automatically redeemed when you buy the products at your favorite store and use your rewards card. combine sales with coupons and only try to buy whats on sale. Plan by the month but shop weekly. Scour clearance racks and thrift stores. And never shop hungry!! I’m on a mission when I do my errands. I make a list of everything needed that week and do it all in one day..groceries, pharmacy, school..whatever and it saves me in gas and from making extra purchases! My biggest money saving tip would be: Make a List, use the list! STICK to the list! If I don’t I overspend. It’s no fun sticking to the list but it certainly saves money! My Husband and I spend Sunday morning getting our papers, and then Sunday afternoon going through all the coupons. I have a coupon organizer that I use too. It’s alot of fun!!!! don’t go window-shopping or browsing online unless you have a specific need. you may be too tempted to buy that item on clearance because it is a great deal, not because you need it. My Best Money Saving Tip: Go in with a list and don’t deviate from that list unless it’s absolutely vital, my line is food. If it’s not a healthful food and it’s not on my list I wait and go back the next day if I really need it. An add on would be to mention the item to your spouse when you get home, I can’t count the amount of times I’ve wanted to return to get a frivolous item and my husbands laid down the law or simply talked me out of it! I commented on your Santa’s Cookies Post! My tip would be to take a calculator with you always so you can see what the best value is on various products. At our grocery store they usually have how much the cost is per unit, but sometimes they are done in different units. Other stores don’t have this info at all. By the way – when I was homeschooling my son this was his job when he was with me at the store – math in real life! Coupons, coupons, coupons, and if your lucky Double Coupons. I use coupons all the time.I don’t buy things just because they are on sale.But if it is something that we use I’ll stock up. Don’t use credit cards- the interest rates will get you down the road. i shop at walmart to save money, and then use coupons on top of that! Save your coupons for when the product is on sale. That way, you get double the savings. I have been following Couponsense.com- so I always get several newspapers and save coupons until big sales and then stock up!! Whenever you need to buy something or you are going grocery shopping, always look for coupons. Anytime you buy something online always check for discount codes at retailmenot.com or other such sites. Even a simple google search can be worthwhile. My tip is plan your menu for the week. No waste. My best tips are, look in the Sunday inserts for coupons, online coupons and don’t forget to go to the companys websites for coupons. Today I went to Scott Tissues website because we always buy their toilet paper and got a coupon for $1.00 off 8 double rolls. Don’t spend money! Seriously though, coupon like crazy. I combine them with sales to get the biggest discount. Buy as much food in bulk as possible. Most food co-ops have bulk sections. I find that many of the items cost 50% less in bulk than they do in packages. And if you bring your own containers, you are doing the planet right as well as your wallet. Whenever possible, don’t pay other people to do work for you. Shred your own cheese. Cut your own veggies. Make your own stuff from scratch. You’ll save a fortune by buying basics and leaving the convenience foods for real time crunch emergencies. I follow you on twitter – AsTheNight. i always get the sunday newspaper for it’s coupons…they really do add up! I scour the stores for unadvertised specials-like the Pillsbury pie crust (the rolled-up kind) for 99 cents a box, on which I used coupons to bring the price down to 49 cents a box. I also home cook more, and don’t buy as many convenience foods, unless I can get them free or nearly so. Thanks! Know the regular prices of items, so you know when something is truly a “sale” versus just advertised to entice you to buy it. Take the time to look at the ads and comparison shop if you’re lucky enough to live near two or more grocery stores. And use coupons. Only use coupons for items that are already on sale! and only buy waht’s on sale and that you have a coupon for! I collect Sunday coupons from the paper and make my selections from the circulars for the grocery stores in our area which come out on Tues. and print my internet coupons for the week. Grocery sales begins Weds. so I set aside Thurs. to do ALL my errands and shopping; doc appts, post office, drug store, hardware store, library etc so I use gas to cover the whole schedule and do the groceries on a day when all the advertised specials are in stock. I buy doubles and triples of things we use up when they are 2 for one or on a real good sale(examples: BOGO Oreos, Hellman’s Mayo, Peter Pan or Ragu for $1.50 per 28 oz bottle), I also stock up on meat to freeze and buy 25 pounds or so for our family of four plus constant guests when they are buy one/ get one free or very cheap prices (examples loin pork chops or cubed steak BOGO or chicken breast at 99 cents per pound). I do not shop when there are no good sales for anything but staples and I try to keep a back up of 1 of everything we use constantly to get through the weeks I don’t do heavy shopping. You get used to the pattern of sales in the stores you patronize and when they offer good sales on which items very quickly. Walgreen’s and CVS are a block apart so I shop them both. Buying in this organized fashion saves me a minimum of 75-100 dollars per week. (That’s around $3 grand plus a year so it is well worth my time.) I’ve gotten a regular route set out now, I know how the stores are laid out and I shop the end caps first so it usually takes only 3-4 hours including travel time….I live 40 miles from the nearest town…to do everything. It is gratifying to me to see the amount I spend and how much I save each week by being an attentive shopper and taking advantage of every opportunity to save my family money. Mine is combining sales with coupons!! Thanks for the chance. I subscribe. I love this blog! I make sure as soon as I get home from the store I do any rebates right then, don’t want to forget to do them! Walmart always beats advertised prices! Make a list of everything you need before you go shopping. That will help to not make impulse buys! My best Money Saving Tip is I make my own dog food, Instead of buying expensive cans, I get meat scraps at the store for cents per pounds, mixed with veggies and rice and my dogs are incredibly well fed and happy. I always look at clearance items and stock up on only thins I know I will use before they expire. My best money saving tip is to only buy what you will use and buy it on sale and with a coupon! Use coupons when items are on sale. Match coupons to sale ads, buy in small quantities, shop when stores aren’t busy, always stick to the list and always return an item if you were unhappy with the purchase even if it was just $.50. It adds up! My best money saving tip is to match up your coupons to advertised sales, and take advantage of online coupon printing sites like coupons.com or redplum.com Very often you can end up with multiple copies of the same coupon, so if that product goes on sale you can stock up and take advantage of a great deal! I have been married for 29yrs, I have always matched my coupons with store sales. I get the sale papers and my coupons, sit down at the kitchen table and match. Then I shop 3 or 4 stores that are very close in local and only buy sales, coupon matches and reduced items. Also if it is on sale and you have the room, buy a large quantity. I have been doing these for 29 yrs. I think they are my best money saving tips. My tip is to find a good coupon wallet and keep it in the car. Take it into the store with you and try to match up sale items with the coupons in it. I commented on your cooking with kids post. What a cutie pie! We have a weekly meal plan and only buy food for that + lunches. It helps a lot. always always shop the clearance racks first and use coupons! keep coupons organized and buy the cheaper brand of most things..
My favorite money saving tip is to check out all the coupon savings blogs for coupon match ups to store sales. That way I can get all my coupons together ahead of time and have my list ready. I like to stack coupons at stores like Target and Safeway for great deals! I buy a lot when something is on sale and always be looking for what you need next so you can get it on sale. And leave your husband at home when you go grocery shopping! Oh and read coupons/sale flyers carefully and make sure you are getting the correct deal- sometimes sales clerks mess up. My best money saving tips are that I shop at yardsales and ebay!! Also high quality consignments have great brands for less!!! technorati fav – IdahoJill, thanks! 2-technorati fav – IdahoJill, thanks! Mom Start Saving Button is on my sidebar, thanks! minimize shopping trips. The more you go, the more you’ll spend. Check the price per ounce – sometimes the bulk packages are more expensive than buying several small packs. Anytime any bill is broken, put the change into a huge glass jar. It adds up! I posted the link on my Facebook. My money-saving tip is to do you research. Don’t stop with one or two stores – exercise the power of the internet and find out what your desired item costs, even in stores physical and online that you wouldn’t consider going to, just to get an idea of what something generally costs and what is considered low and high. This way, you’ll know a deal when you see it. I always clip coupons even when I don’t think I’ll buy it. You never know when they’ll go on sale! My best money saving tip is to go to http://www.booksprice.com/ to see the cheapest price on the books, movie, etc. Costco and your freezer are a great thing! My money saving tip isn’t anything extraordinary. I think the best way that we save money is by finding fun things to do at home, as well as tapping into the free entertainment resources in our community (like the library). My favorite money saving tip is to not buy something just because it’s on sale. My money saving tip is to shop at thrift stores. My daughter recently needed a University of Texas themed t-shirt to wear to school the next day. I went to a thrift store and found one that said “Texas Girl” with the UT logo on it. The shirt cost 81 cents! This item would have cost $20 or up at a retail store. Use price comparison sites on the internet prior to purchasing a product and use a cashback site like ebates.com. Whenever I order anything online I always do a google search to see if there are any coupons or free shipping deals that I can apply to the company I am ordering from. For example, if it’s Target, I google, coupon deals for Target. I have saved so much money doing this-I almost always get either free shipping or some type of discount. i commented on the “Cooking with Kids, making Betty Crocker Mashed Potatoes” post. i commented on the Jan. 11 “Cooking with Kids, making Betty Crocker Mashed Potatoes” post. my money saving tip is convince yourself that unless you absolutely need don’t buy it! ** Spend some time going through your Sunday paper to make a shopping plan. Check to see which stores have the best deals on the items you need. And be sure to clip those coupons! One of the things I do is recycle paper. My office goes through lots of paper and if it is not sensitive info, I reuse the backs. I do the same at home when I print coupons, if I don’t have a chance to use them by the time they expire, I print on the back. My best money saving tip is to, stay at home and that way I will not spend. If I do go out, I always shop with a list, and get only what I need, and I’m always looking at flyers for deals. my best money saving tip is to not have to buy something just because it is on sale– we make a firm grocery list and then if it is on the list and on sale we’ll get it– then we do get it. we also bake all of our own breads. I just had the greatest coupon weekend yet! My only advice is actually really simple, I cut all of the coupons from the Sunday paper, then I go through the Sunday ads, find the best 2for deals…then I stack all of the coupons on top of the best sales in the ads, and look up the ones I don’t have on coupons.com. I got 4 boxes of Big G cereal this week for 6 dollars (then I used 4 $1 off coupons, and then used my Kmart rewards card, which had a 2 dollar balance. They were free!) Then I headed over to CVS and got $20 of Benefiber products (and used 5 $2.50 off coupons) then, got $5 CVS extracare dollars. I got $20 in products for $5! I am now a blog subscriber through google reader. Not sure why my comment on money saving isn’t showing up…well, in a nutshell, keep coupons organized by category and expiration and if you have kids, play a matching game with coupons and the ads in the Sunday paper. My tip is when I clip the coupons out and get them in my coupon organizer, is to make sure I put it in my purse.So many times I needed something at the store and realized I had left my coupons at home. I think the best thing is to use coupons, buy items that are on sale in bulk, and shop around. My absolute best money saving tip is DONT BUY STUFF YOU DONT NEED! My best money saving tip is Coupons! Use them when the product is on sale and then stock up if it is something that you use a lot. But don’t buy items that you don’t use or you’ll be wasting your money. My tip is to stay organized and be on the lookout. Start buying gifts for christmas and birthdays early when you find great deals (make sure it is something you really want). It will save you more money in the long run! My best money-saving tip is to buy store brands, like Great Value at Wal Mart, Up at Target, etc. They are generally made by the same companies that make the pricier name brand items, but MUCH cheaper when sold with the store brand label. I plan recipes so that the leftovers of one become a main ingredient in the next meal I make. It’s fun for me and it saves money by using leftovers and makimg buying as much new food unnecessary. Check your weekly shopping ads for sales. Then check your coupons for any matching coupons you might have. Whenever I need to buy something, I check Goodwill first. They usually have exactly what I’m looking for, and I save a ton of money! Printable coupons have been the best money saver for me and my family. My best money saving tip is to match coupons to sales (and know the unit prices so you know if it’s a good deal). my tip is i take all the sales papers with me when i go shopping and if i see a lower price on something in those papers they will match the price if you have the paper saves me from running around alot. Bring those coupons with you, check online to print out coupons, and also see if your grocery does doubling! Pay your bills online whenever possible. It will save you time, gas and stamps. Grocery stores have a cycle with their sales – items go on sale every 6-8 weeks. Stock up on basics (cereal, vitamins, toilet paper) when the items are on sale so that you won’t have to buy them when they aren’t on sale! I never go to the store when I’m upset. Otherwise I make comfort purchases. I save lots when I drive a bit further to shop at the cheaper grocery store. I stock up on sale items I use and I “cherry pick” which is what grocery stores call people who switch brands based on what’s on sale. Also, we eat less and less meat, which I purchase nearly exclusively at Costco. Menu planning by the week is a huge money and time saver. My crockpot works overload in the winter and instead of takeout on practice nights, we have savory soups and chilis waiting for us at home. Also, by planning, I can save money by soaking beans overnight or using the vegetables that need to be used and buy only fresh herbs that can be used up in various recipes. It’s pretty much not possible NOT to save money and time this way. I sit down on Sunday night with a glass of wine and stack of cookbooks and it’s quite fun. by best money saving tip is to stick to my grocery list. One of my money saving tips would be to pay cash for gas. Most gas stations (in CA at least) charge a cheaper price for gas if you pay cash. It’s only a few cents a gallon – but that adds up over time! Plan trips to the store. Plan menus and list before I get there to avoid impulse buying. I will occasionally alter my menu according to fantastic sales in the store. i scour sale ads and clip coupons to get the most savings…and plan out the week’s list around what’s on sale. saves me a lot! My best tip is to combine coupons with sales and always have your coupons with you. My best money saving tip is to shop at flea markets and to use coupons when grocery shopping. My best money saving tip is Grocerysmarts.com, but you have to have a password – for Utah, it’s g84ckr. Use coupons as much as possible and get as much on sale as you can! A good tip is to check your newspaper for coupons, pick up the sales papers in the store, and catch the sales in stores. The best money saving advice I’ve heard so far would be to write down everything you spend over 5 cents and then be accountable to someone (husband, friend, etc.). It sounds pretty simple (and sort of tedious), but when you’re faced with the truth of what you’ve done with your money and have to answer to someone else for it, you really become better at spending your money wisely. My best money saving tip is to put plastic over your windows during the winter. We did that this year for the first time and are already noticing a huge savings. Wish I would have done this a long time ago! Stock up on your favorite non-perishible items when they are on sale. Don’t buy books/dvds – use the library. My best money saving tip is to look for extra coupon inserts from the Sunday paper at the grocery store, gas stations, etc. A lot of people they them behind! I started doing my grocery shopping every day or two so that I only get what I need and don’t have to worry about things going bad. It also makes it easier to track where my money is going! Use Half.com to buy books and music. It’s MUCH cheaper than other places like Barnes and Noble. Ask for a discount. Surprisingly, this works. Last week we had a plumber come out, and I just asked him for 10% off. He was a little surprise and thrown off guard, and he said yes. Plan your grocery shopping first – look through your stockpiles and browse sale ads to match coupons (isn’t the internet so great for this? )and maximize savings. Then plan your meals around that information. Careful shopping and cooking saves me so much money! Don’t go grocery shopping while hungry!!! I’ve learned this the hard way, but now I follow this advice and save $$$ while only buying the essentials. I clip coupons like a mad woman and i combine my coupons with sale prices in the grocery store. I also am a member of 2 online coupon websites, so coupons automatically come off my loyalty card at my local grocery store. Probably already been said but clip coupons and combine them with sales. It is especially nice when something is on sale as buy one get one free and you have a coupon to get it for half price ! If you are lucky , you can get free items this way too ! Buy in bulk , unless you are trying a new food – you can’t save money if you end up with something no body likes. My biggest money saving tip is to use coupons when I grocery shop. Plus, I match the coupons to the items on sale and shop at Price Chopper where they double my $1 coupons.